Raising wages for municipal and county employees lets workers afford the basics, boosts the economy, and helps local governments balance their budgets, a new report finds. That’s why dozens of states and local communities across the nation have recognized that the federal minimum wage simply doesn’t pay enough for families to cover their everyday needs and have acted to establish better wages by enacting living wage policies. 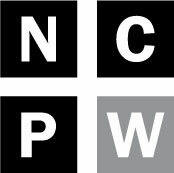 Municipal and county governments in North Carolina have already seized the opportunity to join this national movement and take positive action to raise wages for workers living in their communities. 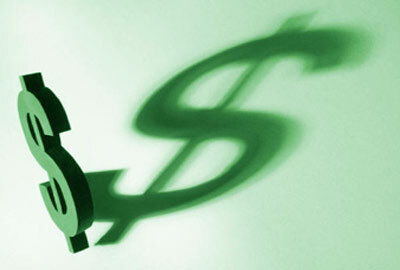 Local governments in Greensboro, Greenville, Asheville, Durham, and Wake County have all enacted living wage increases for their own public employees, while a dozen other municipal and county governments have wage floors well above the national minimum wage of $7.25. Also known as “living-wage” jobs, these economy-boosting jobs allow workers to earn enough to afford the basics—to put food on the table, pay the rent, put gas in the car, and cover childcare expenses. When that happens, workers help boost sales and profits for local businesses and, in turn, the entire economy, the report finds. Most local governments recognize that current minimum wage of $7.25 an hour doesn’t provide workers with enough to afford the basics or boost the economy. 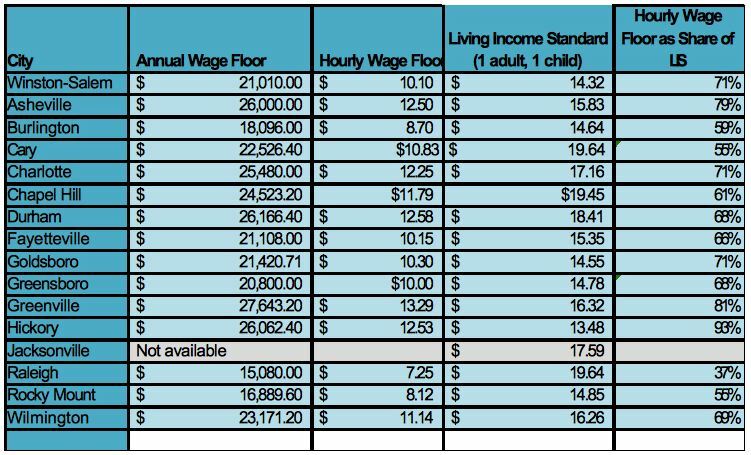 As a result, many have enacted wage floors well above this minimum level (see charts below for how your local government stacks up against everyone else). 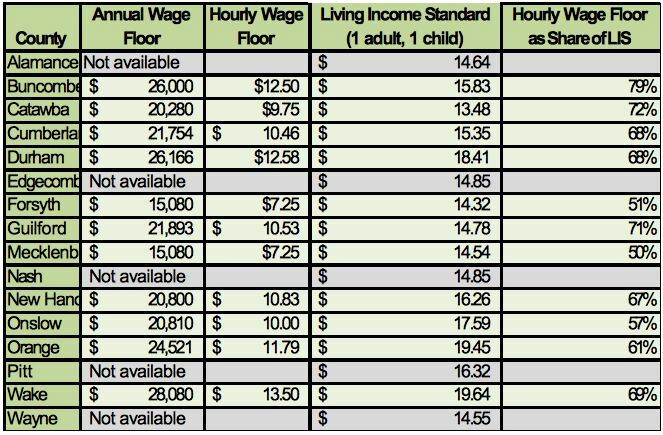 Yet even many of these wage floors still don’t allow workers to afford the basics according to the Living Income Standard, a conservative market-based measure of what it really takes to make ends meet in North Carolina. That’s why so many local governments are enacting “living wage” policies that explicitly allow their workers to earn enough. Unfortunately, years of state and local budget cuts have reduced the number of public employees by 14,000 since 2009 and driven down their wages to the point where City and County workers in North Carolina earn less than their private sector counterparts. Public employee wages have fallen by almost $2,800 per worker over this period. Because local government is usually one of the major employers in most counties across the state, this represents a major challenge for local communities, which are already experiencing the loss of economy-boosting jobs as the state’s manufacturing base continues to vanish. This challenging trend will only continue to hold down private sector wages, as the total supply of economy-boosting jobs in local communities remains depressed along with consumer spending. Household income is down $1,600 since 2009, and the majority of jobs created since then don’t pay enough to make ends meet. Raising wages for local government employees plays an important role in balancing local budgets in the long-term. Greater consumer spending improves sales tax revenue collections, while rising incomes contribute to higher home prices and higher property tax collections. In effect, broad-based economic growth achieved by rising wages also puts local governments on sounder fiscal footing, ensuring financial sustainability for public programs that promote vibrant communities such as housing, transportation, and social services. Another state environmental program targeted for extinction?